Pacific Laser Eye Centre has remained at the forefront of laser refractive surgery - it was the first centre in British Columbia to introduce LASIK in 1994. PLEC then became one of the first centres in the world to treat patients with PRK in 2001 and FEMTO Lasik in 2005. Constantly thriving to improve the safety of refractive surgery, Dr. Lin and Dr. Holland have now progressed to the least invasive surgical techniques to date. 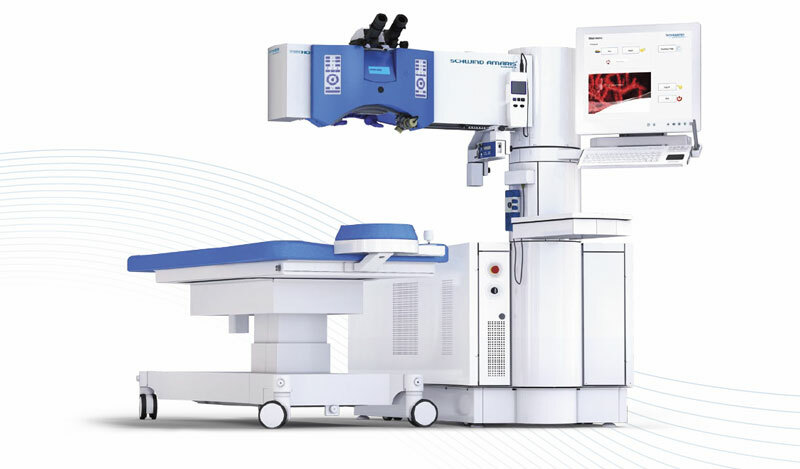 Most recently, in conjunction with the engineers at Schwind Eye Tech Solutions, our surgeons have developed Smart Pulse Technology which evolved to SmartSurfACE PRK. SmartSurfACE PRK is a completely touchless procedure - no suction, no cuts, no incisions. The SmartSurfACE refractive laser system operates at 1000Hz (versus the traditional 400Hz) and utilizes a 7 directional ocular movement tracking system. Treatment time is approximately 40 seconds per eye, longer with higher prescriptions. This one step trans-epithelial procedure offers higher safety compared to Lasik, with no flap complications and no risk of ectasia (excessive thinning of the cornea). SmartSurfACE PRK is suitable for all patients who want to see clearly without the hindrance of contact lenses or glasses. It is suitable for patients who play active sports, patients with thin corneas or complex corneal topographies (maps), such as with keratoconus. The efficiency of this advanced laser allows surgeons to treat almost all levels of myopia and hyperopia. "We are at the front edge of a paradigm shift in refractive surgery. Most patients comment that, immediately after transepithelial PRK, they are seeing almost as previously with their glasses. Further advantages are no flap or complicated intraprocedural risks. SmartPulse has brought the 'Wow' effect to transepithelial PRK." While patients of Dr. David Lin and Dr. Simon Holland have enjoyed the benefits of standard LASIK and PRK since 1990, the latest technology, namely SmartSurACE PRK, is now available. We, at Pacific Laser Eye Centre, are the first to use this laser in Western Canada with outstanding results. Contact us today to discuss your laser eye surgery treatment.